This post is not sponsored. I purchased my own kit from 23andMe. 23andMe is a genetic testing company that specializes in testing DNA for ancestry and health information. The name 23andMe comes from the fact that everyone has 23 pairs of chromosomes, which can tell you so much about yourself! 23andMe offers testing for just ancestry or for ancestry and health information. 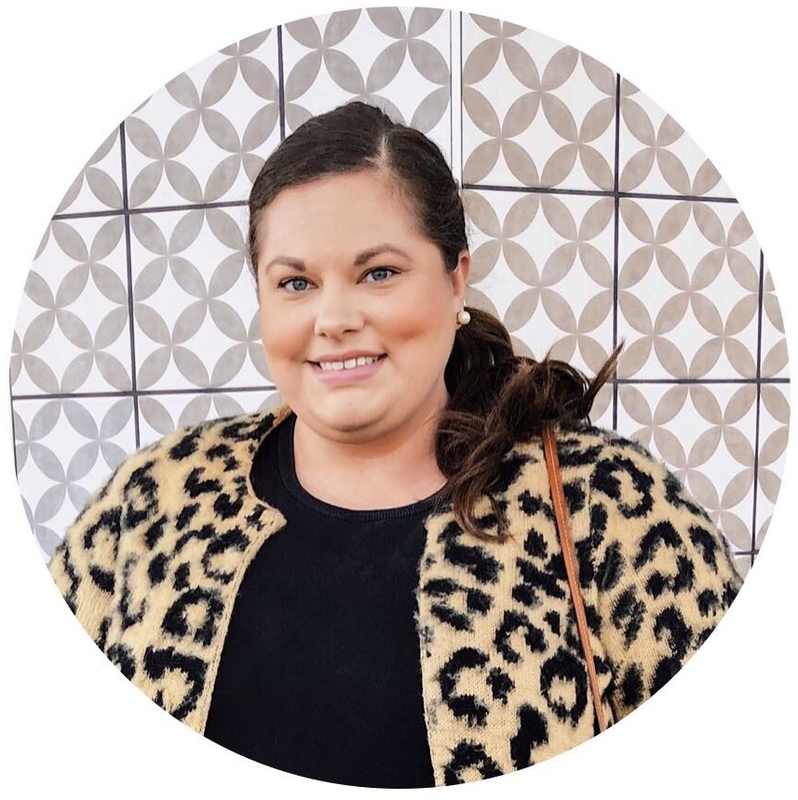 The ancestry reports will tell you where in the world your ancestors came from and gives you the opportunity to connect with people who you share DNA with! The ancestry and health reports will also give you information about your genetic health risks, wellness, traits, and carrier statuses. 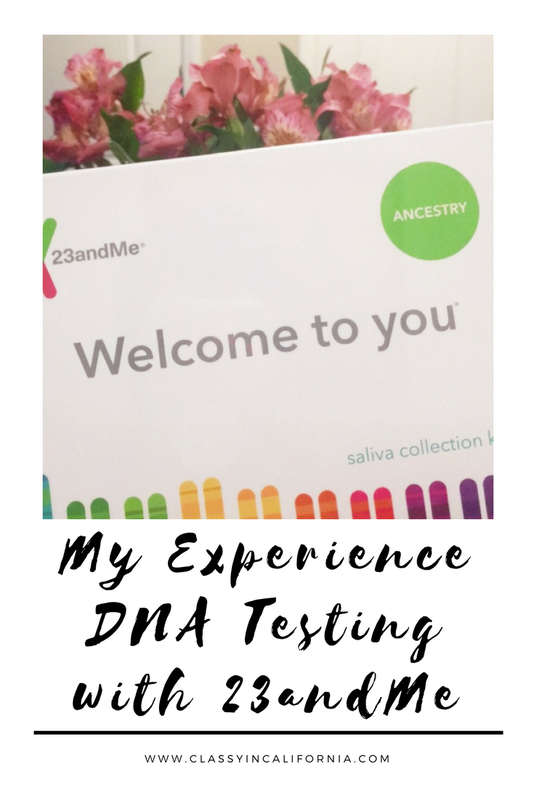 Why should I do a DNA test? I think that anyone should take a DNA test if they have any interest in learning more about their body and their ancestry. I think that it's important for people to have an understanding of where their ancestors came from because it can really show you just how we are all connected. Chances are there are places that your ancestors came from that you have no idea about! The health reports can be a great tool for anyone that wants to know more about how their body works. I think it's important to know what health risks you may have and what genes you may be a carrier for. The carrier status information is especially important for men and women who are planning on having children. How does DNA testing through 23andMe work? After you order your DNA testing kit from 23andMe, they send you everything that you will need. The kit includes instructions and information, the tube for collecting the saliva, a bag to place it in, and a box to send your sample back in. When you get your kit, you need to register the kit online so that they know the kit belongs to you when you send it back in. When you are going to collect the saliva sample, you need to make sure you have waited at least 30 minutes since the last time you brushed your teeth, ate, or drank anything. Once you collect the saliva, you put the package in the mail. You can track the status of your kit online on the website or on the 23andMe app! 23andMe says that their testing takes approximately 6 to 8 weeks to complete. I registered my kit and completed my saliva collection on October 19th. My kit and sample were received by 23andMe on October 25th. My reports were ready on November 16th. I got my reports in about 3 to 4 weeks, which seems to be very fast compared to how long it has taken most people. My mom completed a DNA test as well and her reports took closer to 7 weeks. Prior to taking this test, I have a very vague idea about my ancestry. I had heard stories about my ancestors growing up but there was always some confusion or blanks that nobody could really fill. I started working on a family tree using Ancestry.com. I was able to follow a couple of my ancestors all the way back to when they came to America. However, there are several lines of my family tree that I have hit complete dead ends. I'm not sure if I'll ever be able to figure out those lines so I felt that completing an ancestry DNA test could help give me some answers that I couldn't get from my family tree. From the lines that I was able to trace back, I knew that I had ancestors that came to America from Ireland, England, and Mexico. I knew that I would see British and Irish ancestry as well as Native American and Southern European (from my Mexican heritage). Even though I did have a pretty good idea of what I would see on my reports, I didn't know my exact percentages or if I was actually correct in my research! 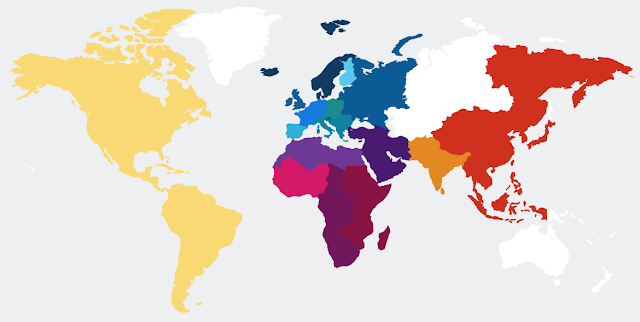 The first thing that I noticed when I opened up my results was how much of the map my ancestry covered! When it comes down to it, we really do live in a small world and we are all much more connected than we tend to think! My largest percentage of DNA comes from Europe, which was not a surprise at all! 23andMe is able to really break down these percentages into even smaller categories. Of my 84.9% European, 46.4% is British and Irish, which was not a surprise at all! 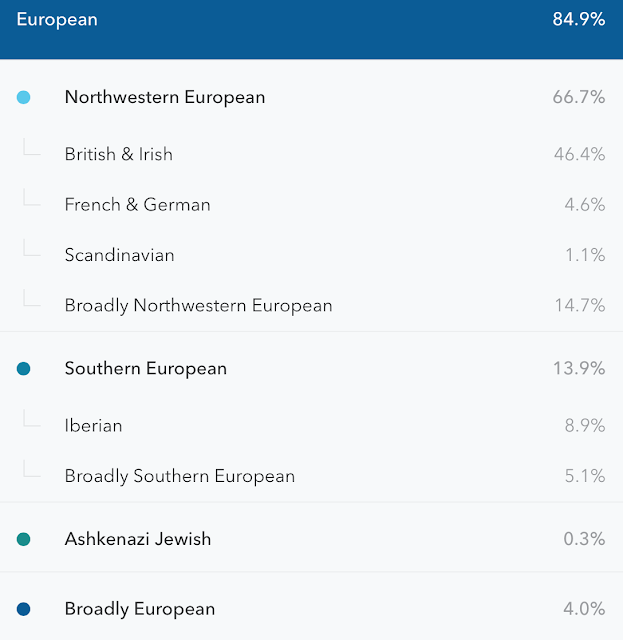 I have 4.6% that is listed as French and German but based on my own research and family stories, it is more likely German than French! Surprisingly, I also have 1.1% Scandinavian. I have 8.9% Iberian, which is the area around Portugal and Spain. Based on my family history, I know this is more likely to be Spain. I also believe the remaining 5.1% Broadly Southern European is likely also Iberian (Spain). I also have a very small percentage of Ashkenazi Jewish. 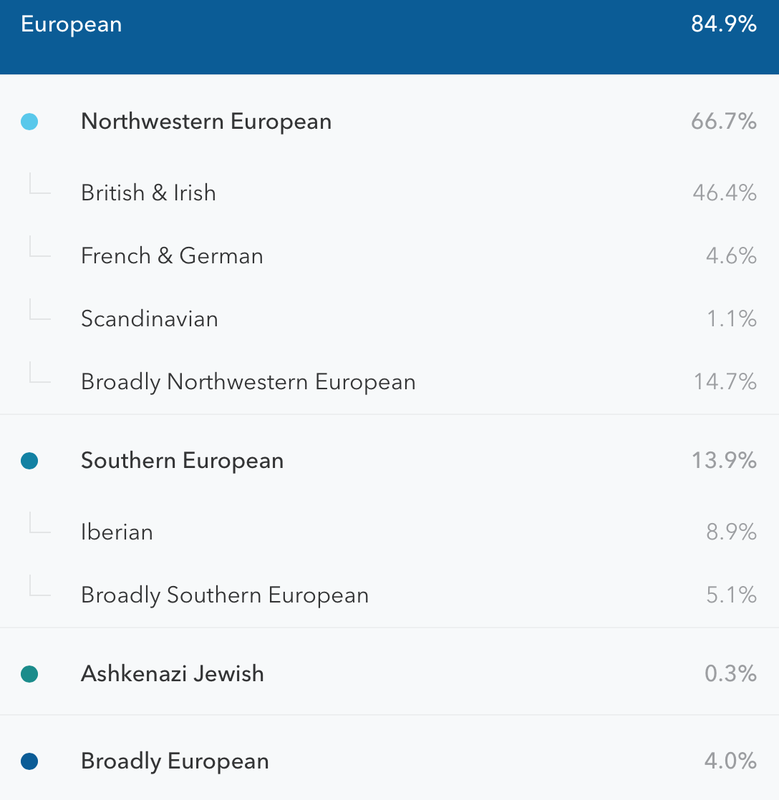 The Broadly categories are percentages where 23andMe was not able to pin that DNA to a specific area. My next highest category is in East Asian and Native American. Since I already knew that I have Mexican heritage, this was not a surprise at all. It was really nice to see exactly how much I have though. My third highest percentage fell into Sub-Saharan African. This section was actually a bit of a surprise. After learning more about the genetic breakdown of most countries in South America, it actually makes a lot of sense. It's possible that some of this came from my Mexican ancestors. I also have a great-great grandfather, who possibly was from Cuba. Lastly, I have a few very small, random percentages. The Middle Eastern and North African shows up as North African. The South Asian shows up as Broadly South Asian. What am I going to do with my results? I have used this information to develop a deeper understanding of myself and a deeper respect for my ancestors. I still find it so amazing that they came from almost all over the world. It makes me feel a deeper connection with the world overall. 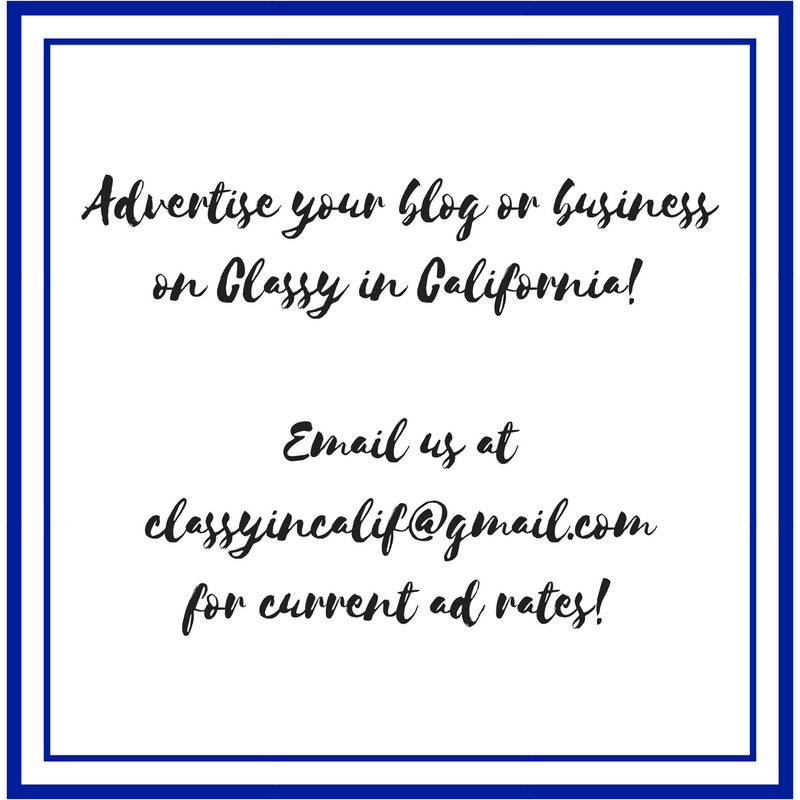 Something that I would really love to do is use these results to create a Travel Bucket List! I'd love to visit the places that my ancestors came from. Have you ever taken a genetic test to find out your ancestry? This is so cool! I haven't done a DNA test, but now I'm a little curious. I think it's so interesting how much they can tell you from just a little saliva! I'm really glad I took one! What's In My Disneyland Bag?